We just spent three nights in Jackson and I have lots of things to write about it, but for now, I’m sharing with you a quick list of three reasons you should book a trip to this iconic Wyoming town right now. Not necessarily number one, two or three is the fact that, despite three local ski areas, winter is off-season in Jackson. This means it’s much less busy right now than in the summer when the National Park tourists are swarming the region; after all, Jackson is a stone’s throw from Yellowstone National Park and Grand Teton National Park. I consider myself to be a burger connoisseur. I realize it’s not as epicurean as a truffle expert or fois gras specialist, but let’s just say that I know my way around a burger and I know what makes a truly great burger. 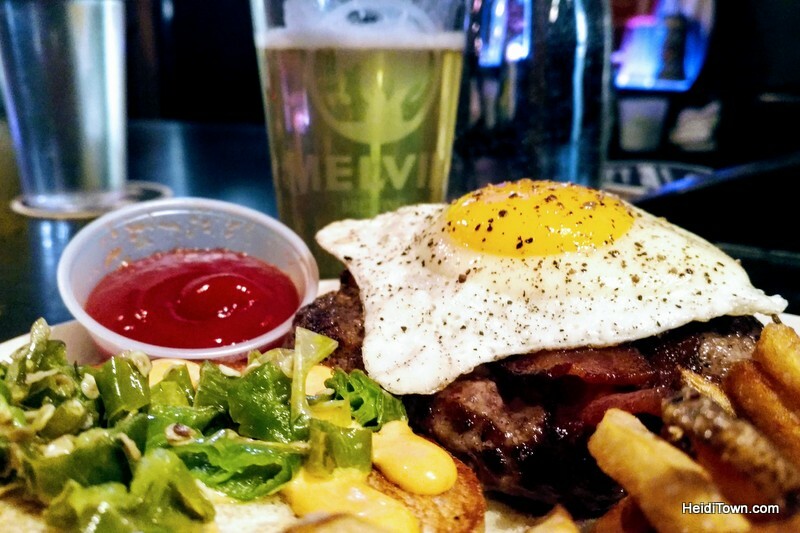 The Melvin Burger at Thai Me Up in downtown Jackson, Wyoming is a truly GREAT burger. 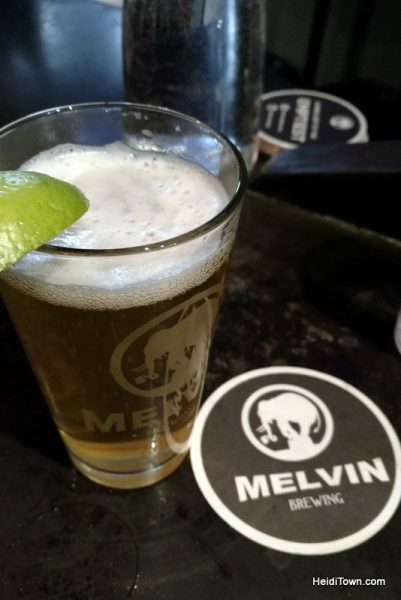 Thai Me Up is the home of Melvin Brewing, so there are A LOT of award-winning beers on tap here, but seriously folks, a lot of people have written about Melvin beer, I’m here to tell you about the Melvin Burger. This inspired burger features bacon, egg, shishito peppers and chili mayo and is served with addictive fries (they use the same fries recipe at Melvin Brewpub in Bellingham and I wrote about them here). Obviously, I get really excited about good fries too. I feel like this picture shows you everything you need to know. This is the Melvin Burger. Ryan’s CMS burger was also very good. You don’t have to just take my word for it that Thai Me Up has amazing burgers. While this brewpub serves Thai food, the many locals we talked to go to this restaurant specifically for the burgers. While I get very excited about scrumptious burger and fries, I also get excited about wildlife, especially if it’s just walking, flying and floating all over the place, which is what happens in Jackson in the winter. 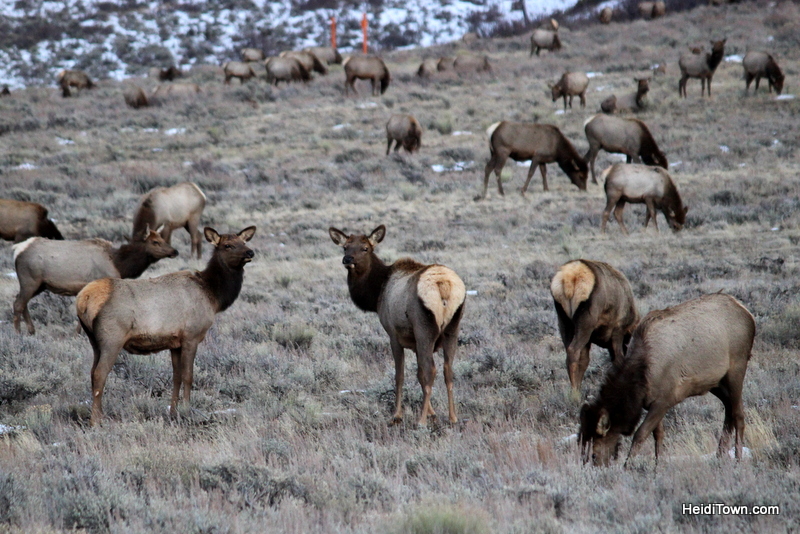 The ladies of the National Elk Refuge chillin’ on a Saturday night. During the winter, the National Elk Refuge, which borders the town, fills with elk that come down to escape the deeper snow of Grand Teton National Park and Yellowstone National Park. The refuge was created in 1912, and today, the six-mile-wide and ten-mile-long refuge is home to many, many animals during the winter. 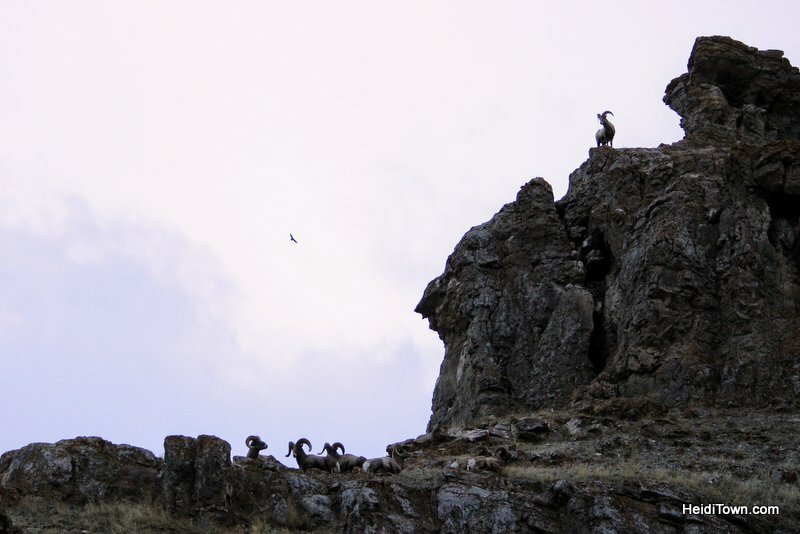 Not only do herds of elk roam, but Trumpeter swans and ducks float in refuge’s bodies of water, birds of prey swoop in on fresh coyote kills and bighorn sheep play in the rocky areas of the refuge. Even the occasional wolf can be seen here. 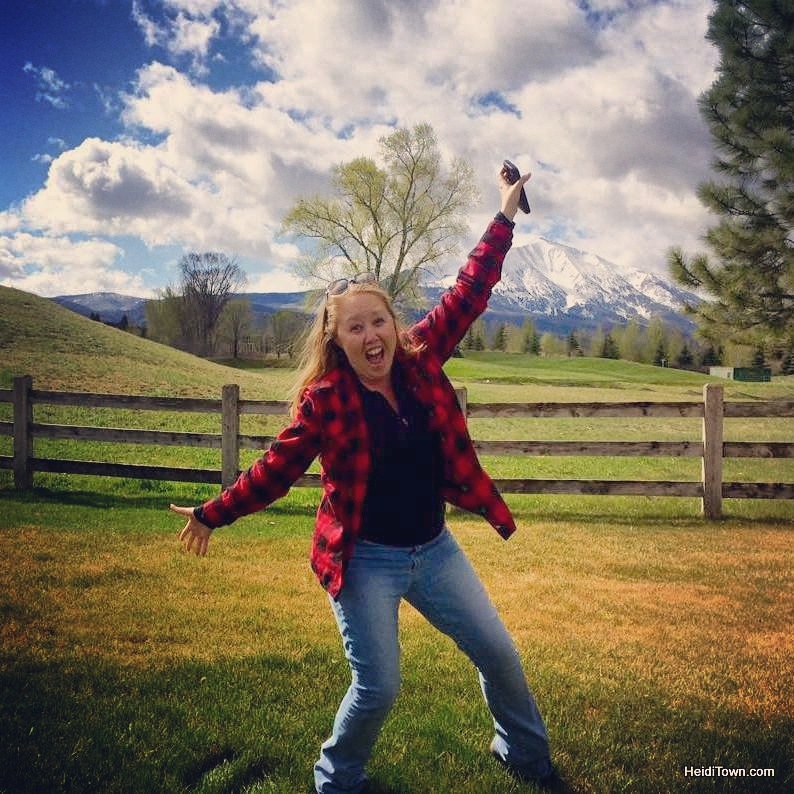 The National Elk Refuge is home to more than just elk. 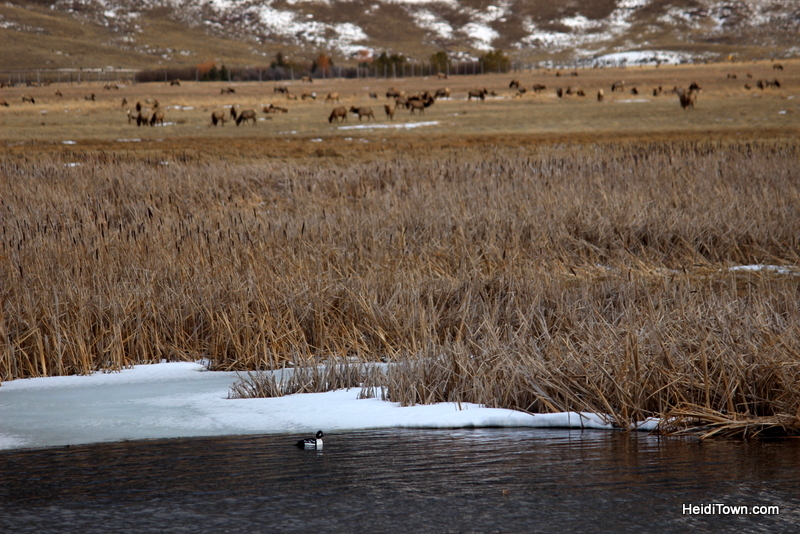 It’s free to enter the refuge and we were treated to lots of wildlife sightings on our several drives there including bald eagles, harrier hawks, bighorn sheep, tons of elk, buffalo (at the far north end), a variety of ducks including buffleheads, coyotes and Trumpeter Swans. We didn’t book this activity, but you can book a sleigh/wagon ride at the National Elk Refuge. This horse-drawn sleigh or wagon will take your group deep within the herd where you’ll get up close and personal with elk. This is a winter-only excursion. 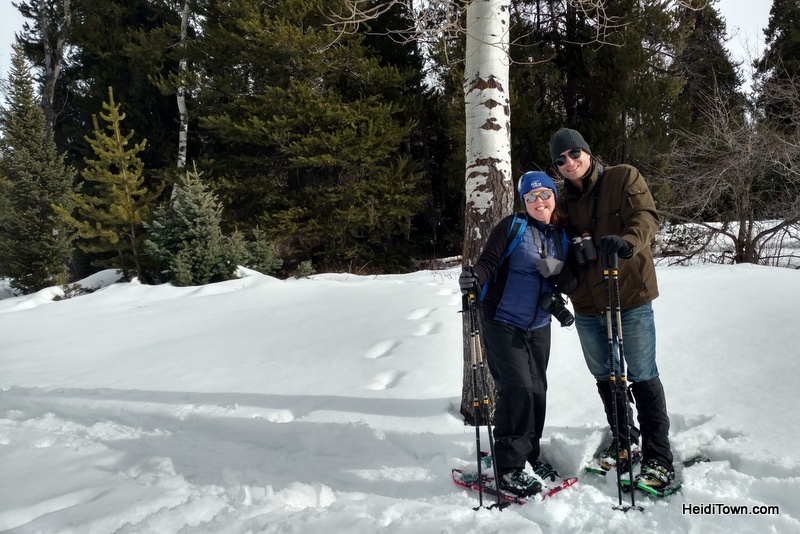 I am going to dedicate an entire blog post to our hosted outing with Jackson Hole Eco Tour Adventures, but for now, I want to tell you that snowshoeing in Grand National Park is a reason to book your Jackson trip now. After all, you can’t snowshoe if there isn’t snow. 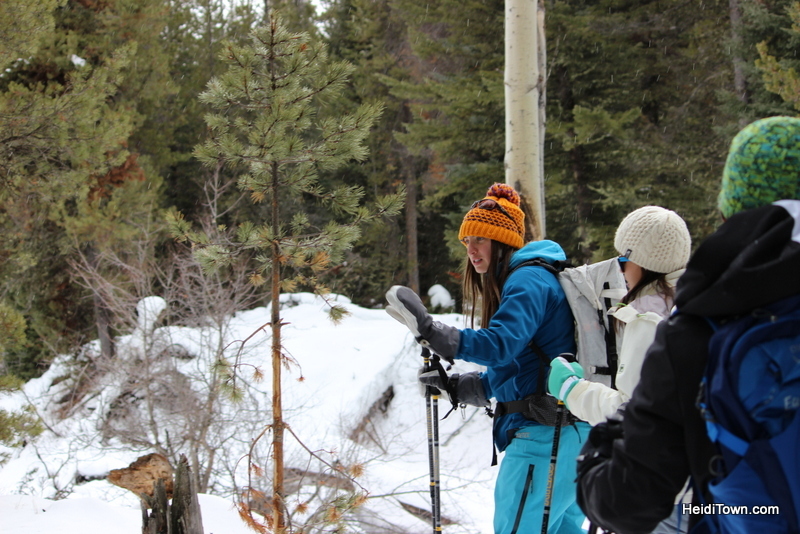 This past Saturday, I strapped on some fancy snowshoes and headed into the woods with our JHETA guide, Chelse Grohman. 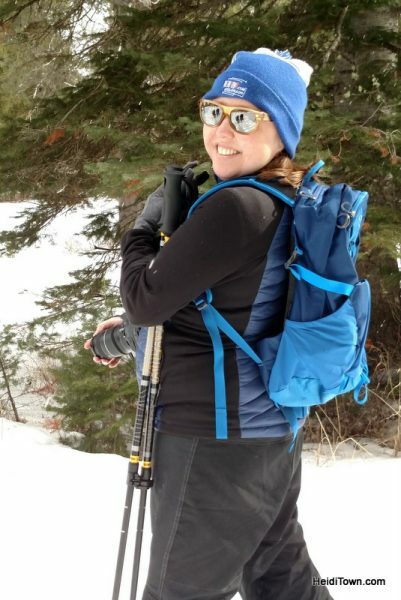 A great reason to book a snowshoe outing into Grand Teton National Park with this outfit is that they have amazing guides like Chelse. She was an absolute wealth of information and a delightful human being – that’s good because we were on an eight-hour wildlife safari with her. Chelse pointed out animal signs everywhere along our snowshoe outing. It became very obvious that we were surrounded by wildlife in these woods. I’ve always loved snowshoeing because it allows one to get out into the wilderness during a very different time of year — winter. As we moved through the snow-laden woods of Grand Teton National Park I remarked that it felt a lot like the Age of Winter in Narnia and I got a murmur of agreement from our small, well-read tour group. 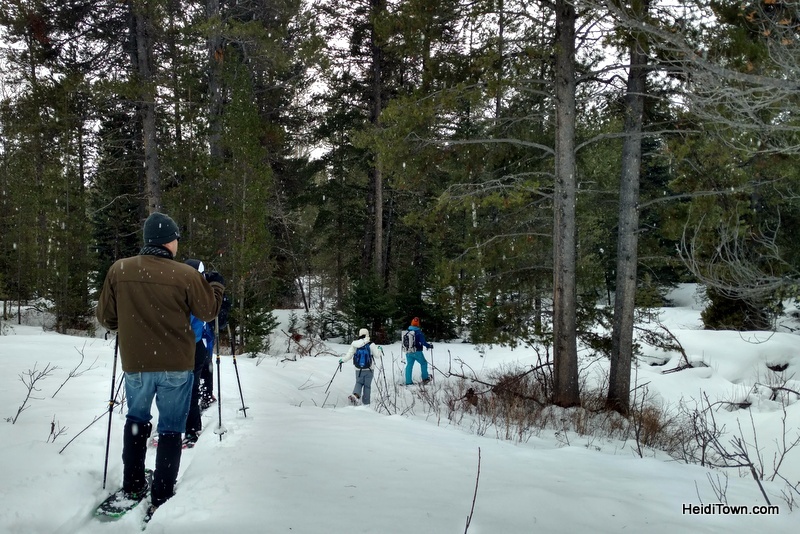 If you want to experience a magical wood this winter, go to Jackson and go snowshoeing. There’s nothing quite like it for a true nature lover.